All flying training can be requested with Brendan O’Brien on a one to one basis should you wish. 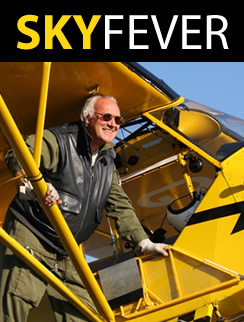 All trial/gift flights are flown with and certificated by renowned aviator Brendan O’Brien, who can also officiate at all corporate/ media events. .
Skyfever can provide a full flying display programme through its subsidiary “O’Brien’s Flying Circus.” Brendan is a specialist in the highly regarded act of “Crazy Flying”. Brendan can provide a series of innovative, instructive, exciting and thought provoking lectures and talks on a variety of aviation related subjects:. Brendan is a renowned airshow commentator with a fund of knowledge, experience and personal anecdote.